NGC 3603 is a starburst region : a cosmic factory where stars form frantically from the nebula’s extended clouds of gas and dust. Located 22,000 light-years away from the Sun, it is the closest region of this kind known in our galaxy, providing astronomers with a local test bed for studying the intense star formation processes, very common in other galaxies, but hard to observe in detail because of their large distance. The newly released image, obtained with the FORS instrument attached to one of the four 8.2-metre VLT Unit Telescopes at Cerro Paranal, Chile, is a three-colour combination of exposures acquired through visible and near-infrared (V, R, I) filters. 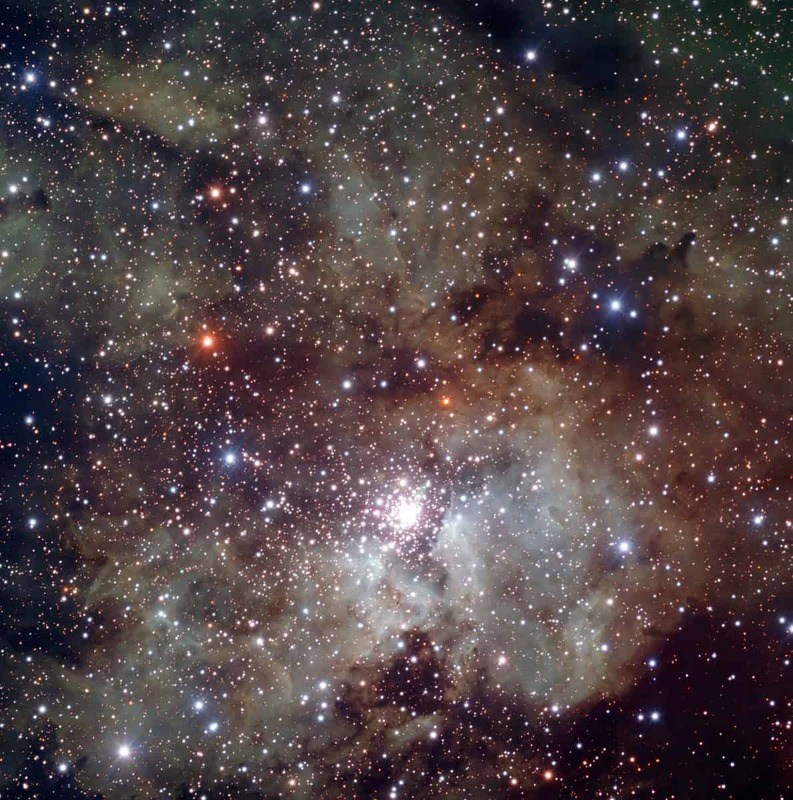 This image portrays a wider field around the stellar cluster and reveals the rich texture of the surrounding clouds of gas and dust. The field of view is 7 arcminutes wide.